Gym has generated significant buzz in Spa City since opening in 2015. With boundless energy, a passion for fitness and the pure enjoyment she derives from hitting things, Jennifer Ricupero believes she has found her life’s calling through her new business endeavor in the Spa City. With boxing instruction serving as the foundation for a variety of innovative programming, Ricupero’s RAW Fitness has generated significant buzz in Saratoga Springs since opening on Caroline Street in late 2015. Looking to establish something unique when she began conceptualizing her vision, Ricupero’s approach is to take the intimidation factor away from working out while fostering an environment that is welcoming and empowering to people from all walks of life. Ricupero believes boxing training is one of the most invigorating workouts available. A certified trainer for more than 15 years, Ricupero has a Masters of Education from Boston University. 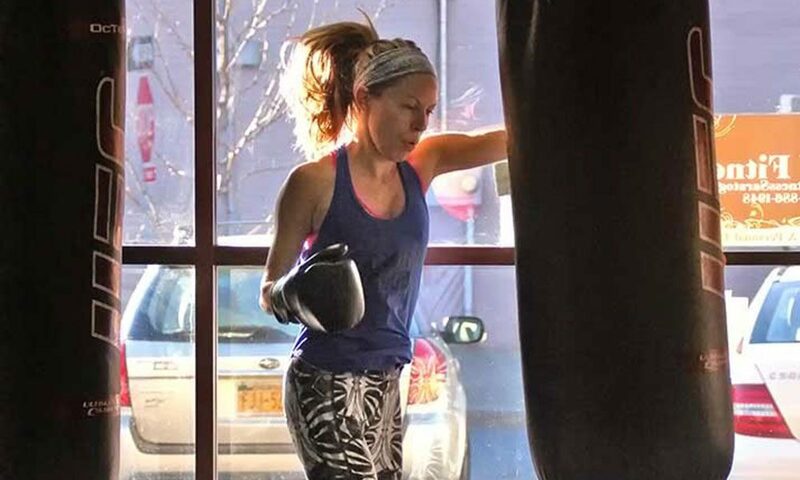 She worked and learned in a variety of positions in the fitness training field prior to opening RAW, including as director of facilities and programming at the Fort Orange Club in Albany. To that end, Ricupero has designed several unique classes to meet the various needs of her diverse clientele. Programs include body sculpting, high intensity interval training, Pilates and restorative yoga, among others to complement the boxing training. Ricupero has also created and even trademarked a hybrid training program called Boxilates. Ricupero says the response to her programming has been overwhelmingly positive, and she has seen a significant growth to her business in a short time. The success of RAW Fitness has led Ricupero to open a second location, RAW SPACE, just a few doors down on Henry Street. RAW SPACE programs are geared toward movement, yoga, education and even personal styling. The first step into a new fitness program can often be the most challenging, but Ricupero focuses on making it as easy as possible to get started.